The BOM for this circuit. These are pretty common parts and can be substituted for what you have lying around. In particular, the value of the capacitor should be experimented with. 100uF worked pretty well for me, but the choice is forgiving. The VU meter and circuit connected to my full vinyl lathe pre-electronics. 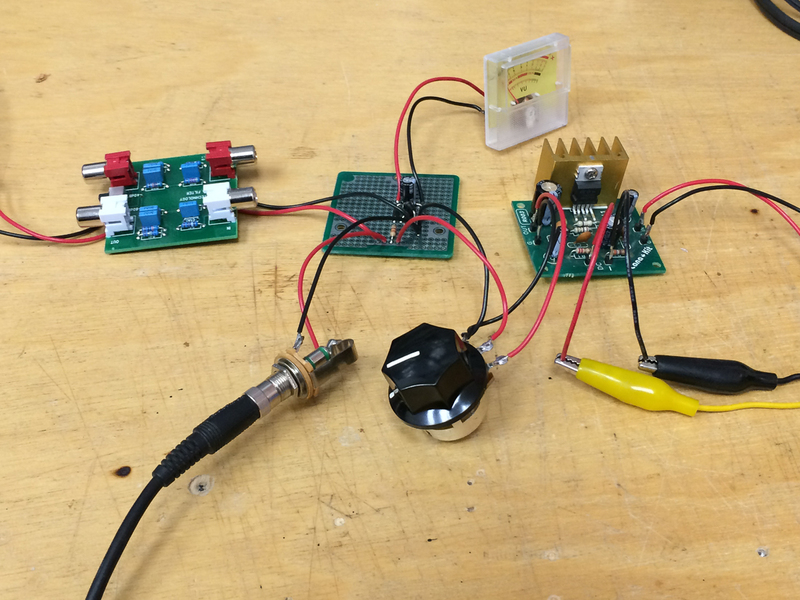 A 10W amplifier, volume control, the VU meter, inverse-RIAA filter and output to the lathe and headphones. 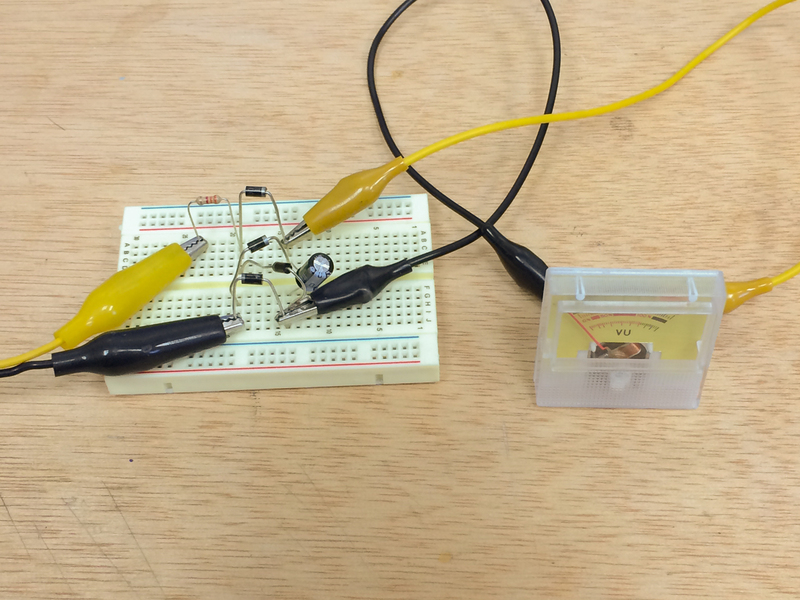 And the circuit, prototyped on a breadboard. The crisscrossing diodes make this a little tricky. 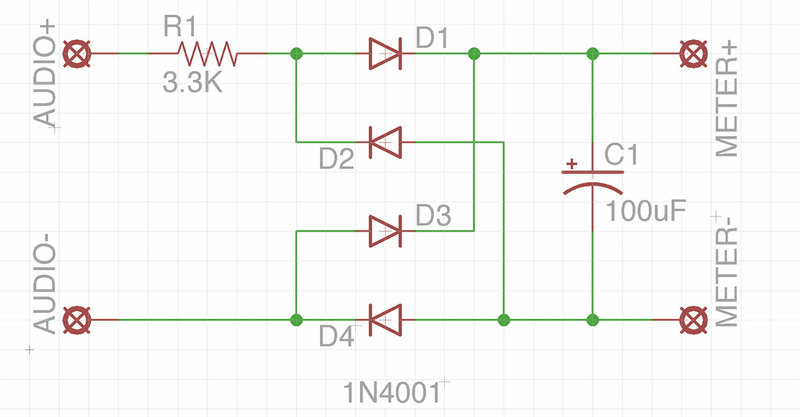 I am trying to connect VUs to a standard headphone output of a stereo for fun… can I use this same circuitry? Is that what you were using as an input? What might I have to do differently? I was using audio out from my computer, so that should work. Most cheap meters are DC, which require the circuit shown. Old ones (salvaged from tape decks, etc) may be AC and will work with your audio output directly.